Credible reports of a meteor exploding with 2.1 kiolotons of force above a US Air Force early warning radar at Thule Air Base in Greenland have surfaced. The Air Force has been silent on the event. NASA did provide a Tweet with data showing record of an object of unspecified size traveling at 24.4 Kilometers per second (about 54,000 MPH or Mach 74) almost directly over Thule, Greenland. The incident is fascinating for a long list of reasons, not the least of which is how the Air Force integrates the use of social media reporting (and non-reporting) into their official flow of information. 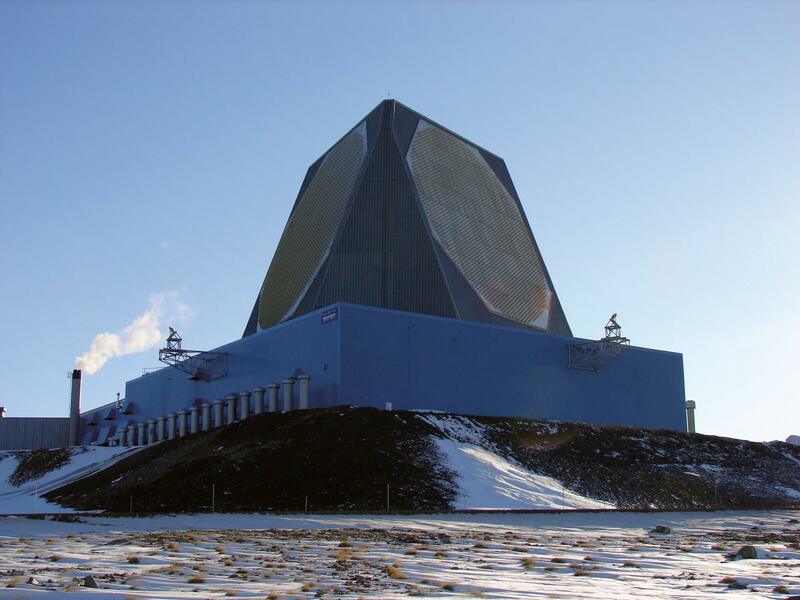 As of this writing, no reporting about any such event appears on the public news website of the 12th Space Warning Squadron based at Thule, the 21st Space Wing, or the Wing’s 821st Air Base Group that operates and maintains Thule Air Base in support of missile warning, space surveillance and satellite command and control operations missions. NASA’s Jet Propulsion Laboratory did provide a Tweet with a screenshot of data showing record of an object of unspecified size traveling at (!) 24.4 Kilometers per second (about 54,000 MPH or Mach 74) at 76.9 degrees’ north latitude, 69.0 degrees’ west longitude on July 25, 2018 at 11:55 PM. That latitude and longitude does check out as almost directly over Thule, Greenland. When you look at NASA’s Near Earth Object (NEO) Program database for objects entering the atmosphere you see that, “The data indicate that small asteroids struck Earth’s atmosphere – resulting in what astronomers call a bolide (a fireball, or bright meteor) – on 556 separate occasions in a 20-year period. Almost all asteroids of this size disintegrate in the atmosphere and are usually harmless.” That is a rate of one asteroid, or “bolide”, every 13 days over the 20-year study according to a 2014 article by Deborah Byrd for Science Wire as published on EarthSky.org. You may recall the sensational YouTube and social media videos of the very large Chelyabinsk meteor that struck the earth on Feb. 15, 2013. Luckily it entered the earth’s atmosphere at a shallow trajectory and largely disintegrated. Had it entered at a more perpendicular angle, it would have struck the earth with significantly greater force. Scientists report that Chelyabinsk was the largest meteor to hit the earth in the modern recording period, over 60-feet (20 meters) in diameter. Over 7,000 buildings were damaged and 1,500 people injured from the incident. What is perhaps most haunting about the Chelyabinsk Meteor and, perhaps we may learn, this most recent Thule, Greenland incident, is that there was no warning (at least, not publicly). No satellites in orbit detected the Chelyabinsk Meteor, no early warning system knew it was coming according to scientists. Because the radiant or origin of the Chelyabinsk Meteor was out of the sun, it was difficult to detect in advance. It arrived with total surprise. Northern Russia seems to be a magnet for titanic meteor strikes. The fabled Tunguska Event of 1908 was a meteor that struck in the Kraznoyarsk Krai region of Siberia. It flattened over 770 square miles of Siberian taiga forest but, curiously, seems to have left no crater, suggesting it likely disintegrated entirely about 6 miles above the earth. The massive damage done to the taiga forest was from the shockwave of the object entering the atmosphere prior to disintegration. While this recent Thule, Greenland event is very large at 2.1 kilotons (2,100 tons of TNT) of force for the explosion, the Tunguska Event is estimated to have been as large as 15 megatons (15 million tons of TNT). It will be interesting to see how (and if) popular news media and the official defense news outlets process this recent Thule, Greenland incident. But while we wait to see how the media responds as the Twitter dust settles from the incident, it’s worth at least a minor exhale knowing this is another big object that missed hitting the earth in a different location at a different angle and potentially with a different outcome.